Login to your account and go to Sales > Invoices. Filter or otherwise find the one you'd like to convert to a recurring invoice. 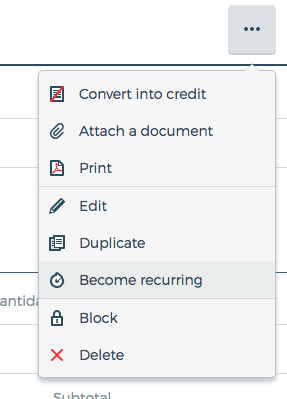 Click on the dropdown for more at the top right of the invoice, and select Become recurring.